Becky Livingston, owner of Penheel Marketing, has been in marketing and technology for over twenty-five years. She has extensive experience working with clients in small business, non-profit, and financial services in social media and digital marketing. As a former programmer, she was impressed with LinkedIn and its networking capabilities, launching her into her current marketing career. 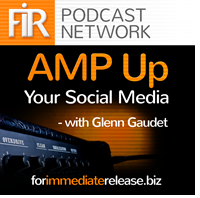 Becky recently joined AMP UP Your Social Media’s host Glenn Gaudet to discuss social media marketing for CPA firms. Carefully advertise. Many smaller CPA firms cannot advertise about their services, per se. Because LinkedIn is a B2B network, you have an opportunity to use a free platform based on your individual needs such as lead generation, web traffic, and niche markets. Understand your profession, and know your limits. 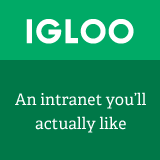 Any regulated industry requires careful sharing of client information and the like. Create policies, become educated, and be comfortable with what you’re doing while following these regulations. Align goals. The firm’s goals and social media goals can sometimes differ, so align your goals for a successful social media campaign. Generating leads, increasing traffic, and increasing exposure all require different social media marketing strategies and can change the way you utilize social media networks. Have a firm understanding of your business’ goals for social media for the best social media campaign. Know your buyer persona. The buyer’s persona is your target audience, and the first step to understanding this is research. A well-made strategy aimed at the wrong market will have disappointing results. Once you’ve researched your market, review your history to see what has been successful in the past. Utilize resources appropriately to reach your goals through social media and digital marketing. Create proper content. Regardless of the medium, your content is the core of your social media campaign. You’ll want content that can be used in many different ways. For instance, a single article can be utilized for slide decks, presentations, and additional articles! Inbound marketing and content development is an essential piece of the media you share, so develop your own content. Becky would love to hear from you! Chat with her on Twitter or find her company at http://penheel.com/. Hailing from the Greater New York City Area, Becky Livingston is a CEO, entrepreneur, and an overall social media marketing guru! Her education includes a bachelors in communications from State University of New York College at Geneseo, a masters in science and information technology from Pace University, and a certificate in corporate training from New York University. With specialties in online media, public speaking, and graphic design, she achieves goals and drives results. Brian Basilico started his first business - a recording studio - at age 18. After working for AT&T, he worked in recording and eventually worked with an agency in interactive marketing. 13 years ago, he opened his own business focusing on the trifecta of websites, analytics, and social media. Brian recently joined AMP UP Your Social Media’s host Glenn Gaudet to discuss social media marketing and how it relates to C-level employees. Establish your market. Knowing how to sell your product and how to utilize your marketing platform is all based on who your market consists of. People want to connect with businesses, so developing a presence through content helps to put a face to your business. Even if your marketing team is posting on behalf of the CEO, take the time to connect with and establish your market. Look for opportunities to utilize social media components to improve upon your traditional methods. Post in industry-specific groups. Even if your content is mostly informational, find content that creates a connection and engages your market. Build a reputation with skilled people in the industry in order to gain traction in the market and to gain a response. If you don’t have an industry-specific group to post to, create your own! Plan ahead. When you attend conferences and industry-related groups, take the time to plan ahead and meet up with folks who plan to attend. Then, when you attend the event, you can solidify the connection and develop the relationship further. Maintain the relationship. While many companies may be overzealous off the bat when it comes to their social media marketing, many falter over time and forget to maintain the relationships they’ve created. Partners, vendors, and clientele remain loyal to those who maintain and strengthen the relationship over time, so don’t let these efforts fall by the wayside. Brian would love to hear from you! Chat with him on Twitter or find him on Facebook! Brian is an internationally recognized best selling author and sought after speaker on the topic of Social Networking, Relationship Marketing, and Internet Marketing for Business. With over 30 years experience with running businesses, he has a unique perspective on traditional and new marketing tools that help businesses make the most of their internet marketing efforts. He’s also a social advocate, webmaster, and leader of an independent ministry. Krishna De is an award winning digital communications, online publicity and content marketing strategist and mentor. She works with large business’s HR, marketing and communications departments to develop comprehensive communications and marketing strategies. Krishna recently joined AMP Up Your Social Media’s host Glenn Gaudet to discuss how Google Hangouts On Air can be used for social commerce. Google Hangouts On Air: What are they and why should social media marketers care? Krishna would love to hear from you! Chat with her on Twitter, connect with her on LinkedIn or visit her website at www.krishnade.com. Krishna De is an award winning digital communications, online publicity and content marketing strategist, and mentor. She is a regular commentator the media and her expertise in digital and social marketing is featured in several highly acclaimed books. She is a sought after professional speaker and conference moderator at conferences across Europe. Krishna guides business leaders on how to integrate content marketing, digital media and social technologies into their business strategy and has worked across numerous sectors including FMCG, energy and utilities, telecommunications, leisure and tourism, healthcare, technology, professional services, membership organizations, financial services, education, public sector and non-profits. Her corporate clients are typically CEO’s and senior leaders in business strategy, marketing, business development, Human Resources PR and communications. Prior to establishing her own business, she was a board member of Guinness and Diageo in Europe, Asia and North America and therefore brings a to her workshops an in-depth insight into how digital communications can support the delivery of corporate strategy, enhance business performance and facilitate employee engagement. Desmond Wong is the content and community marketing manager at AgilOne, a software startup focused on predictive marketing analytics. Desmond joined AMP UP Your Social Media’s host Glenn Gaudet to discuss the importance of design in social media content marketing strategies. Tweets that include an image are more than 2x as likely of creating a click through! Work closely with your design time to create visual assets for social media. If you don’t have a design team check out other websites and social media channels for inspiration, such as PatternTap.com. Keep your messages and your content branded. Don’t make your visuals salesy. See how Desmond gets visual on Twitter, check out the AgilOne Twitter account. Desmond would love to hear from you! Chat with him on Twitter or connect with him on LinkedIn. Desmond is currently the Head of the Content/Community Marketing and Creative teams at AgilOne, a SaaS company specializing in predictive marketing intelligence. He manages AgilOne’s lead generation efforts through the company blog, social media, and website. Neal Schaffer is a social media consultant who has been helping business with their social media strategies since 2010. Neal started his career in marketing and sales in Asia. When he returned to the United States, he essentially had no business network outside of Asia, which led him to turn to social media to find more local connections. His blog, Maximize Social Business, was organically born from this transition in his life and his passion for social media has blossomed into a passionate career. Neal recently joined AMP Up Your Social Media’s host Glenn Gaudet to discuss social media strategies and content creation. What does your company have to share? What resource can you become? What are you going to talk about in social to help promote your own company’s ROI? Neal would love to hear from you! Chat with him on Twitter or connect with him on LinkedIn. As a leading social media speaker, Neal currently speaks on social media at dozens of corporate, professional association, and online events each year. In parallel, he continues to consult with, coach, and train clients on strategically leveraging social media for their business. Since launching his social media strategy consulting business in January, 2010, Neal has worked with dozens of companies, from small startups and solopreneurs to Fortune 500 enterprises and a Grammy Award-winning celebrity.